This morning as I look ahead to the next six days totally enmeshed in a fashion week full of shows and write-ups, I realized I wanted to post something very down to earth to ground me. Enter Old Fashion Gingerbread. Over many articles now I am sure it is clear a lot of my recipes came through cookbooks. I left home early and what I remember of food really was meat and potatoes or a casserole that included a pound of hamburger and a can or two of Campbell's condensed soup. It wasn't what I wanted to cook. Back in my 20's there was no internet to explore. A regular subscription to Bon Appetit was a luxury indulged in for several years. It is the source of my show-stopping Oreo Cookie Cheesecake which I still have not had the courage to share. I've checked and it's not out in the web-universe yet, and there's something intoxicating about thinking I have something so unique. A few cookbooks also helped and the one I remember providing me the most long-lasting recipes was one put out by the Spice Islands company. Mine was lost in a house flood and although I have looked extensively at used cookbooks with the same name - none look identical to my lost one. I have managed to find a few recipes on the internet such as Brethren Cheese Bread, but others I've had to try and remember roughly what was in them and look for something similar. 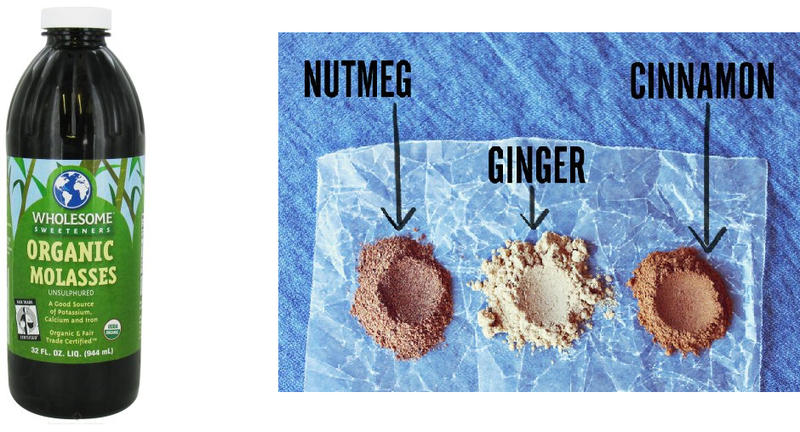 This gingerbread recipe is in the second category, but it seems to be about right. Every time I make it, the aroma while baking fills the house with a scent that says home, hearth and heritage to me. 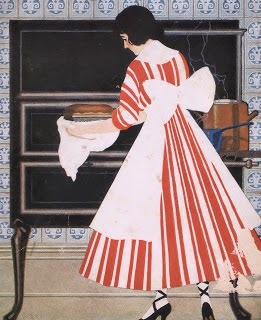 As I enjoy a slice, I think of women on farms cooking with wood burning stoves. Gingerbread was not a part of my life growing up and I honestly am not partial to the spiced cookie cut into shapes and decorated with icing. But in flipping through that particular cookbook one day I stumbled upon this quick bread/cake version that sounded intriguing. Often after a meal I find a super rich, super sweet dessert sets way too heavy. This dessert is perfectly understated, but flavourful - a great finish with its deep brown colour and spicy aroma. It would also be perfect when friends stop by served with coffee or tea. The best - and in my mind only - way to serve it is warm with a dollop of homemade whipped cream. Second choice is with a small scoop of real vanilla ice cream. I bake it the day before. Then just before everyone sits down for dinner, place is in a very low oven to warm. By the time the table is clear, it's ready to be served. If you want your desserts to be sugary, this is not for you. If you want comfort food that warms your soul, I would give it a try. 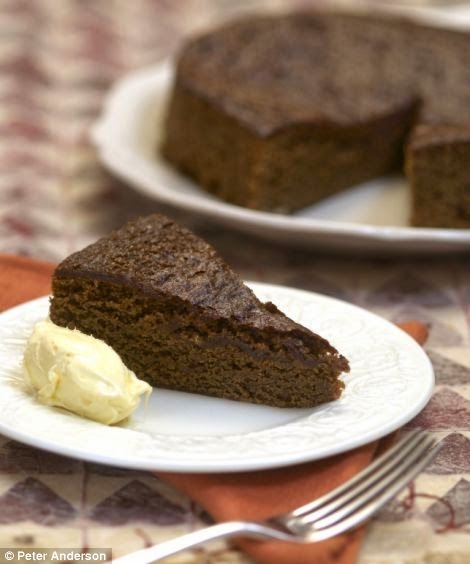 Molasses has a strong, unique taste, but throw caution to the wind and try the Blackstrap version the first time. You can always tone it down, but in my mind it's the soul of the recipe. Enjoy! Pre-heat oven to 350". Prepare an 8" or 9" round cake pan or springform pan by either greasing and dusting or placing parchment paper in the bottom and spraying liberally with Pam. Cream together shortening and sugar. Add in ginger, cinnamon, nutmeg, soda and salt. Mix well. Add egg and Molasses. Stir until combined. Add in flour and buttermilk and mix gently until combined. Scrape into baking pan and smooth batter with back of spoon. Bake for 40-45 minutes until knife inserted in center comes out clean. Serve this sliced in wedges with freshly made whip cream or a scoop of vanilla ice cream. NOTE - most recipes call for unsulphured light molasses. This gives a much milder taste and lighter colour. I personally love the strong flavour of the dark blackstrap version, there is a just a very vintage taste to it that takes my mind back to the turn of the century.